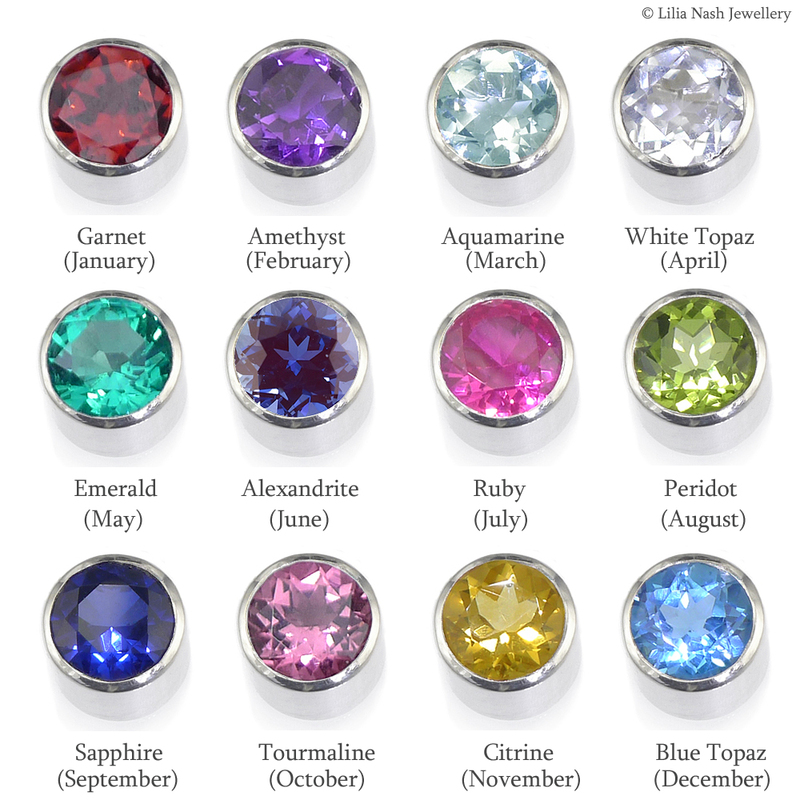 September birthstone is sapphire. 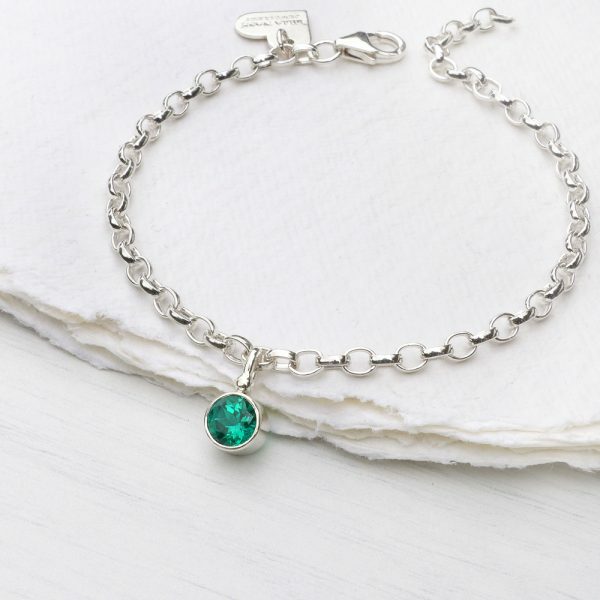 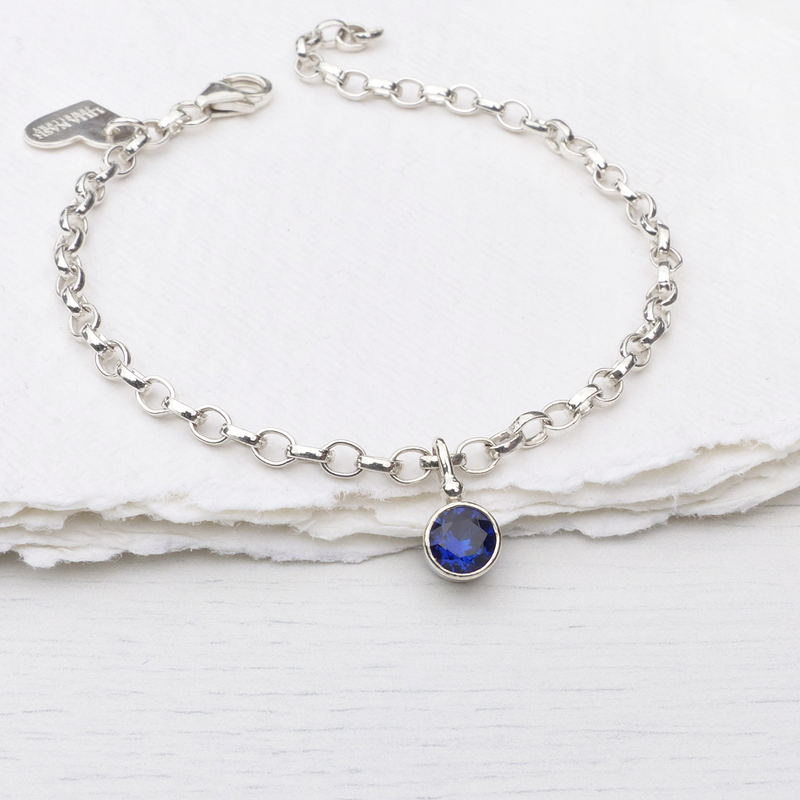 This pretty birthstone charm bracelet is adorned with a high quality 6mm lab grown blue sapphire. 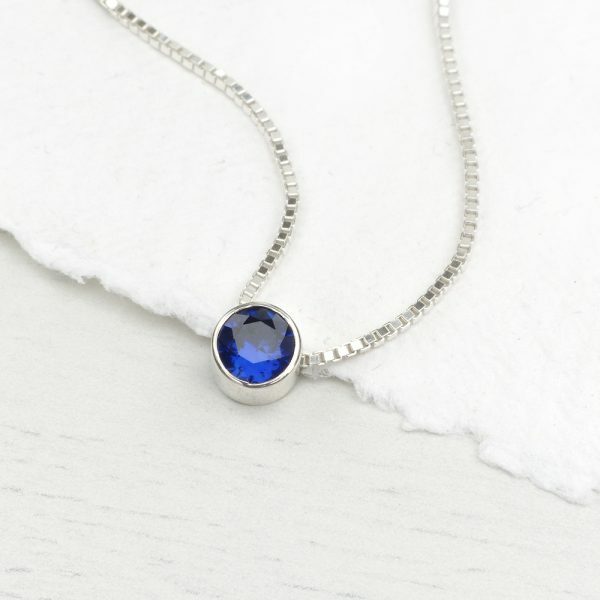 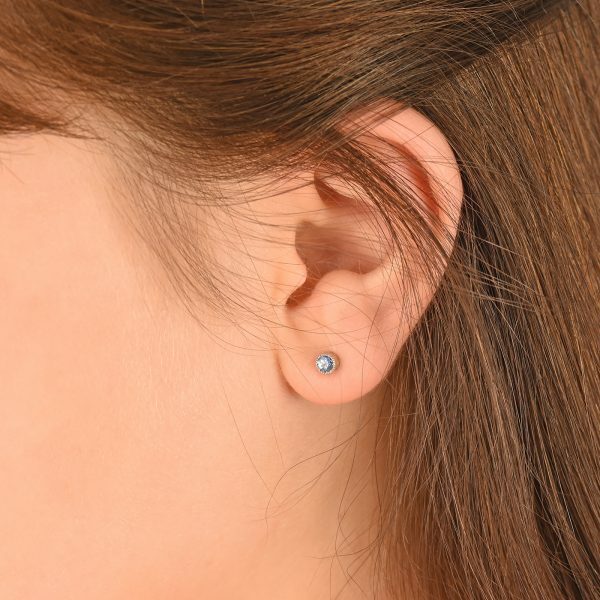 The sapphire is bezel set in a hand-made Sterling silver charm. 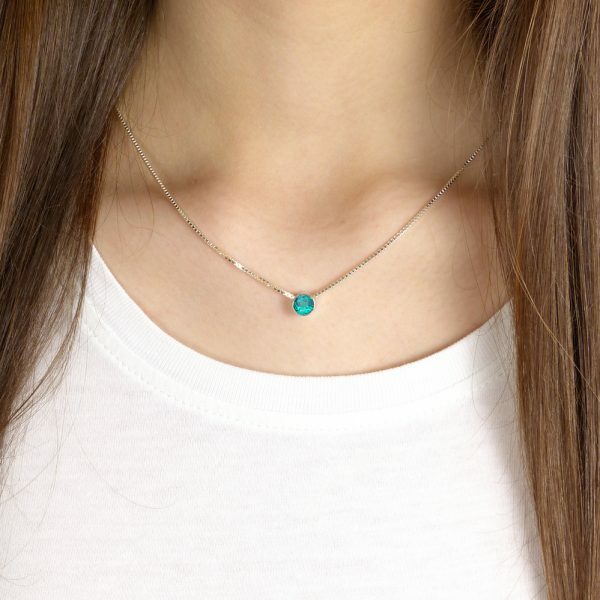 The high quality 4mm link Sterling silver belcher chain is 8″ in length. 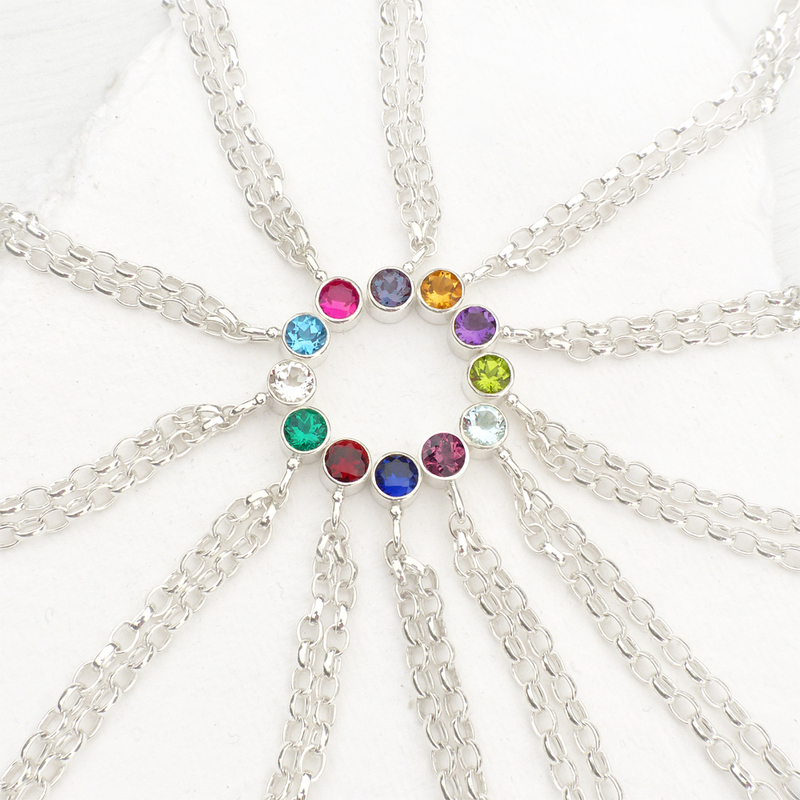 The chain is adjustable, fitting any size up to large adult. 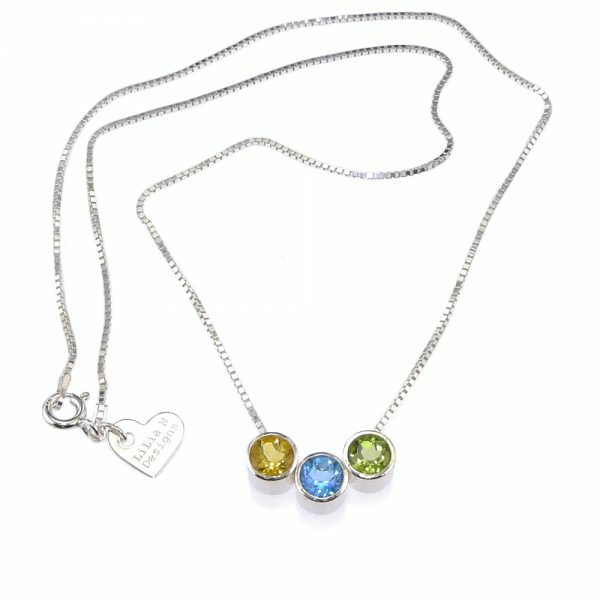 The bracelet is finished with my designer heart tag. 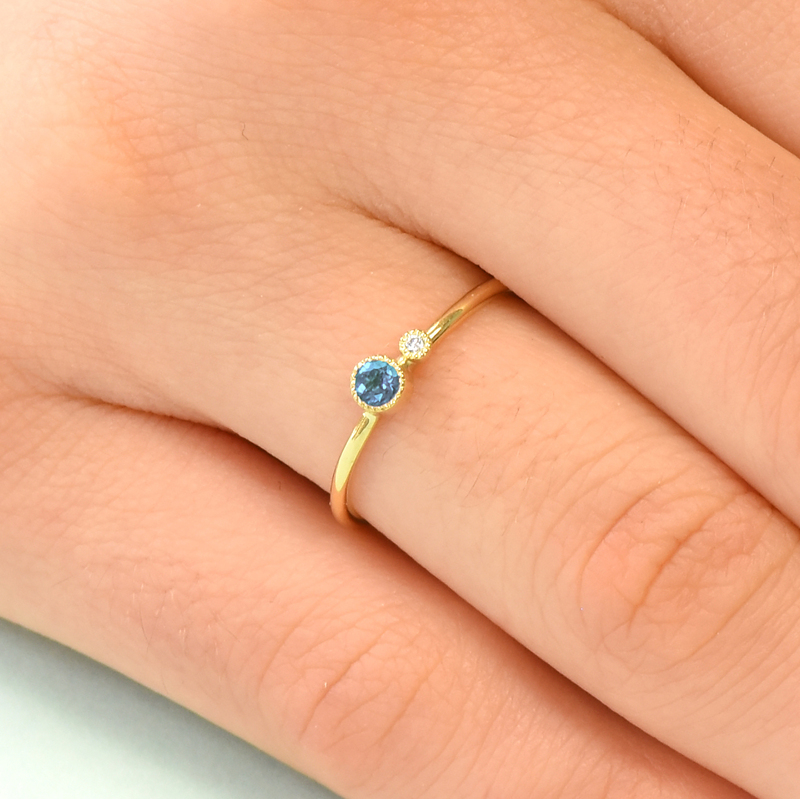 Natural blue sapphire gemstones are available on request. 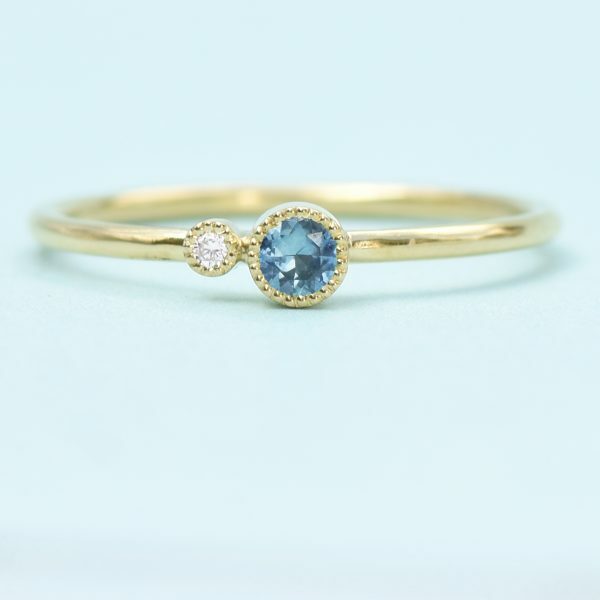 Lab grown stones are chemically identical to natural stones and are a more eco friendly and affordable alternative to natural precious gemstones. 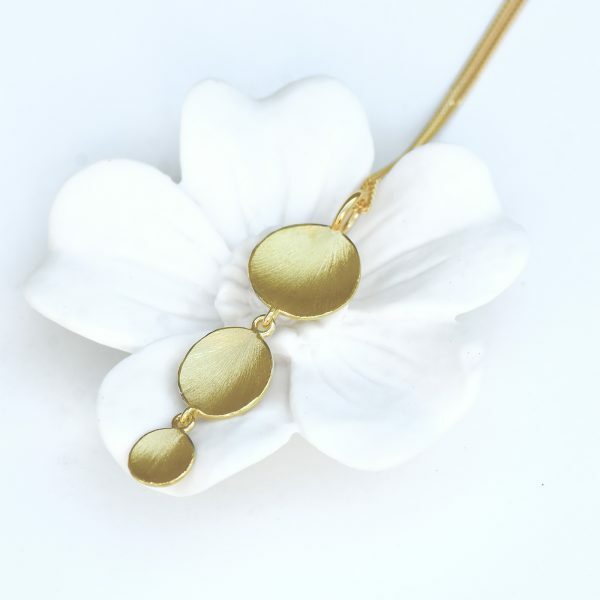 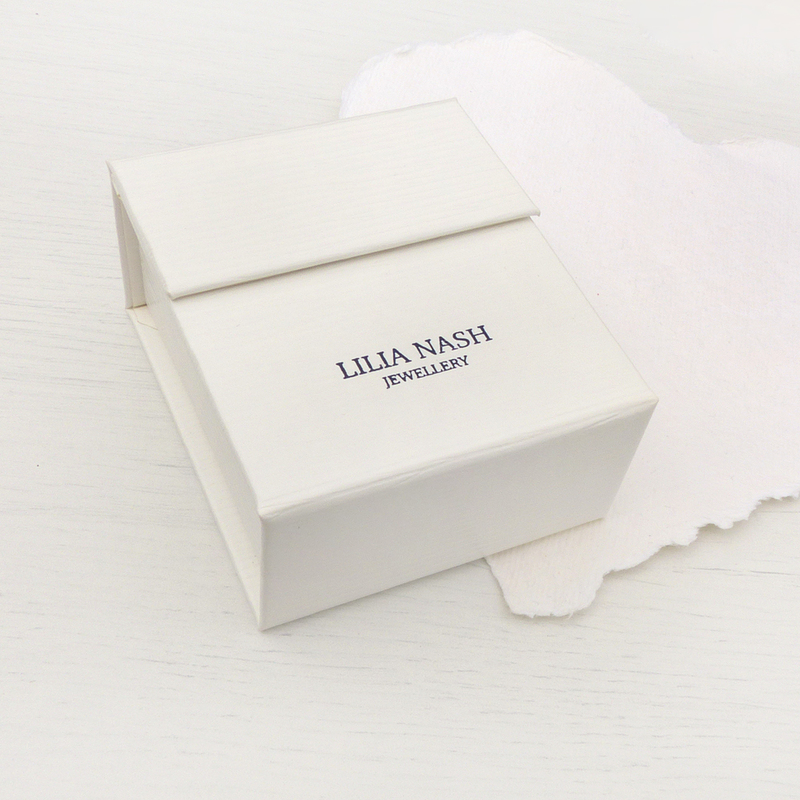 Each limited edition piece of jewellery is individually hand-crafted by Lilia herself, in her studio in the Cotswolds (UK). 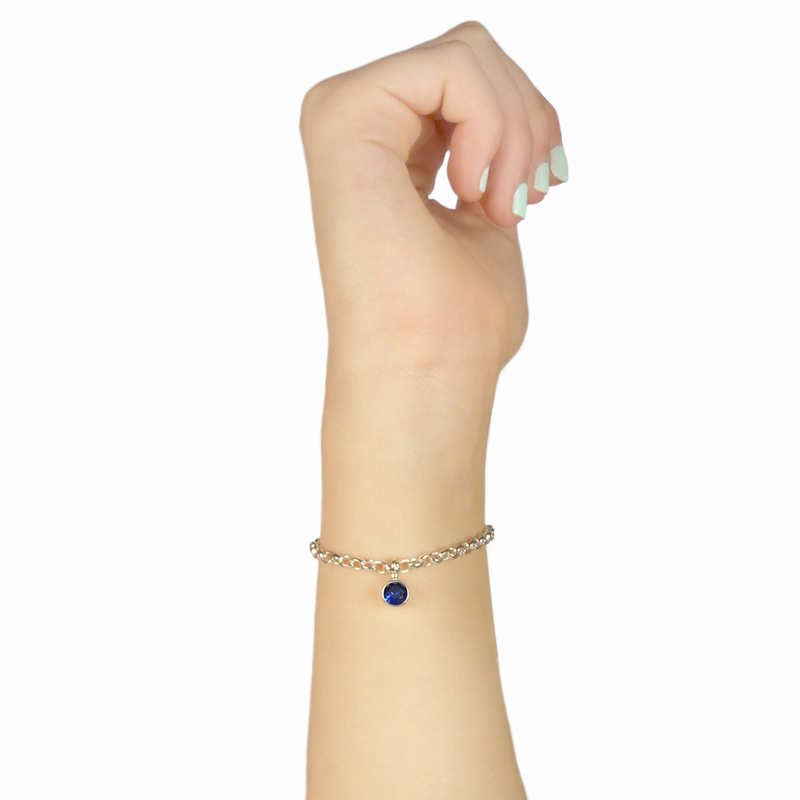 Sapphire is considered to be both a spiritual and regal gemstones. 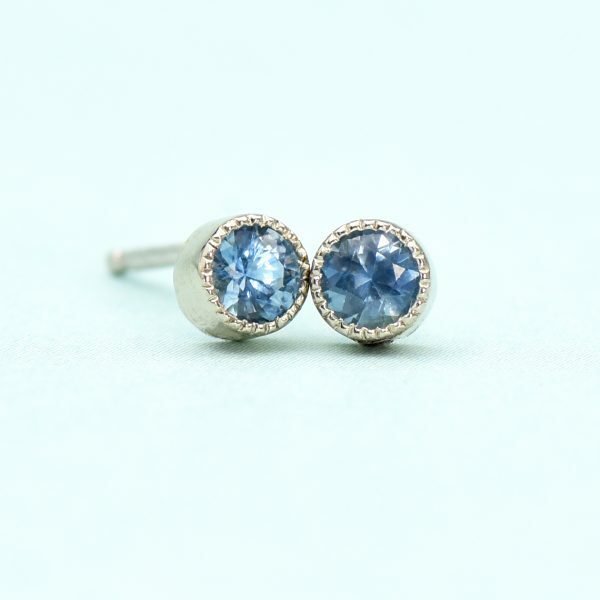 They’ve been highly prized for millenia thanks to their exquisite colours that can range from crisp white to the deepest blue. 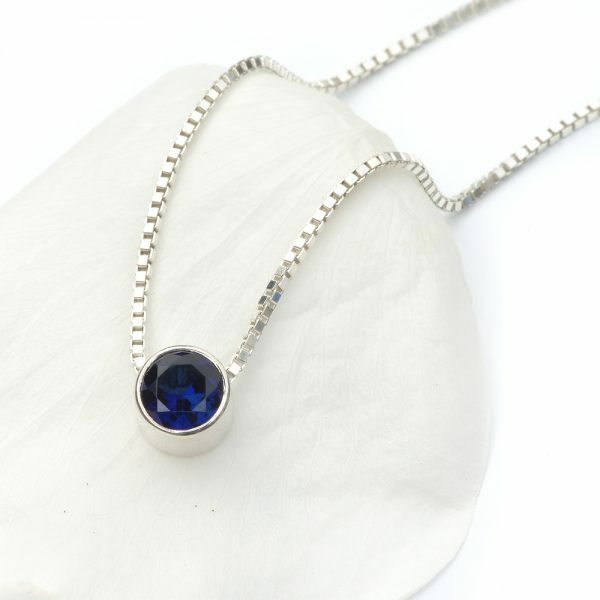 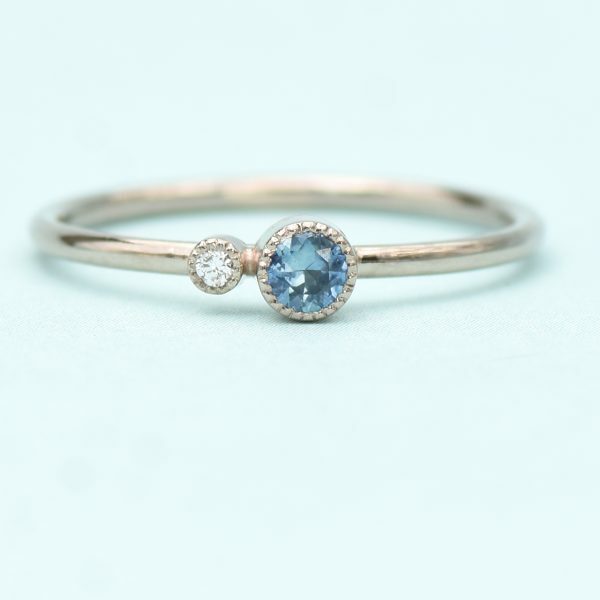 Sapphires are worn as a balancing gemstone that restores calm, enables balance and helps the wearer focus their energy. 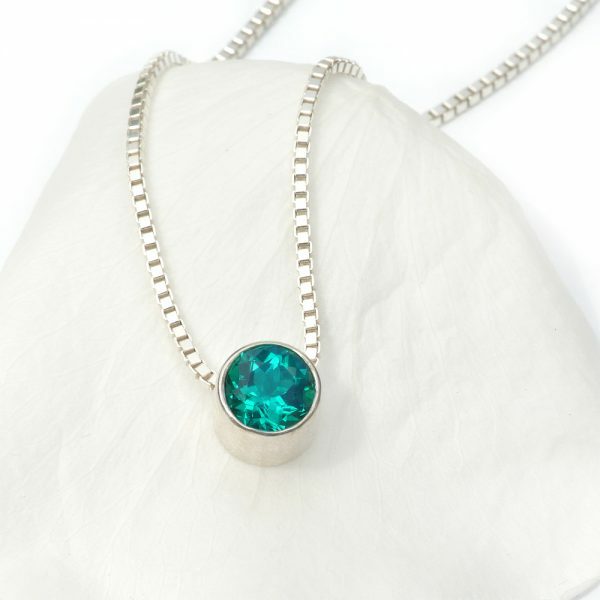 A symbol of love, happiness and fidelity, they are often considered to be the stone of love and make the perfect choice for a romantic gift. 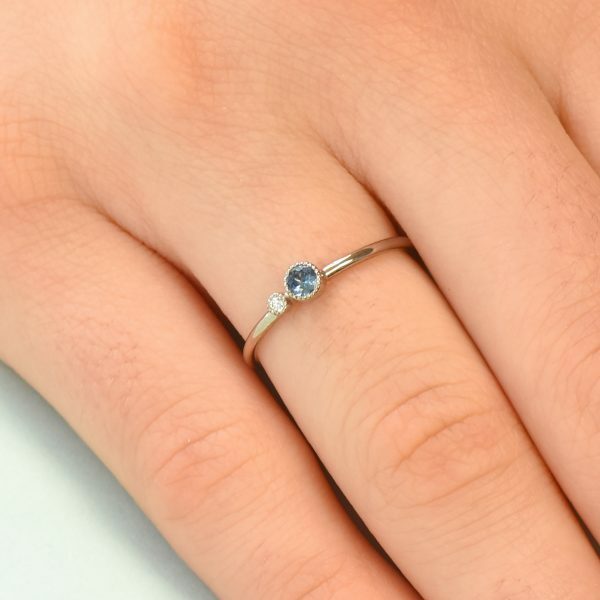 Sapphire is also the birthstone for September and is the traditional wedding anniversary gemstone for three anniversaries, celebrating 5, 45 (sapphire jubilee anniversary) and 75 years of marriage. 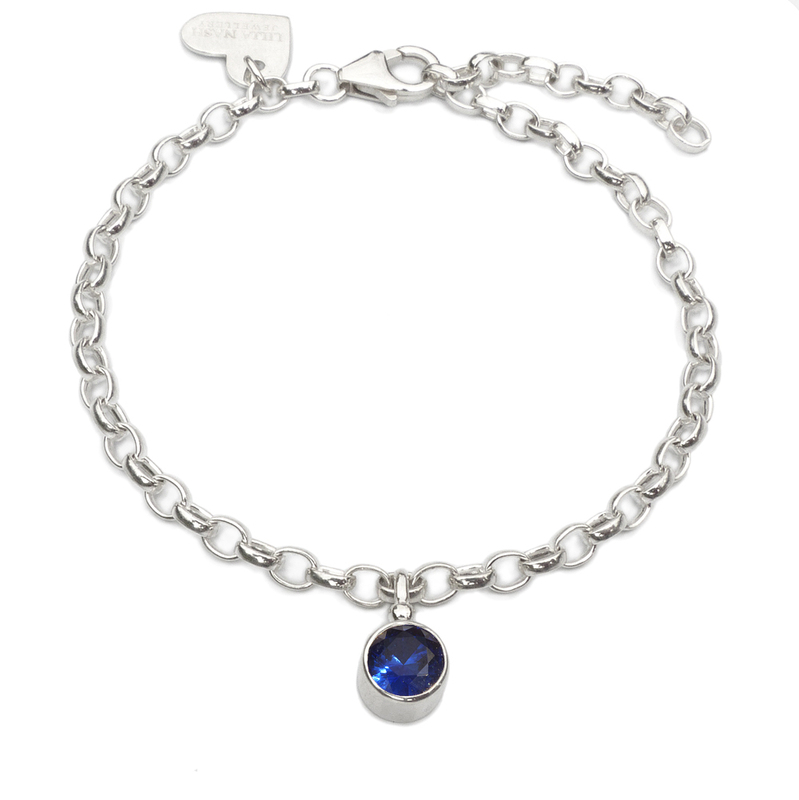 This pretty sapphire charm bracelet is adorned with a high quality 6mm lab grown blue sapphire. 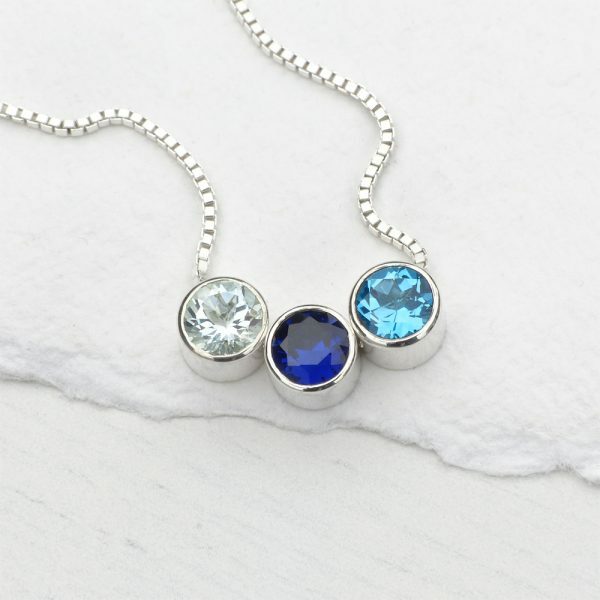 The sapphire is bezel set in a hand-made Sterling silver charm.